For goose hunters, there is no such thing as a nuisance goose population. That would be characterized instead as wondrous abundance of a graceful and awe-inspiring gamebird. An explosion in numbers, whether it wrecks the local municipal golf course or not, is a welcome and exciting phenomenon for trophy fowl. The resident goose population is booming, but it's difficult to pinpoint exactly how many birds stay local throughout the year. According to very conservative estimates, there are now 3.5 to 5 million resident Canada geese spread across the U.S. from New England south to the Chesapeake Bay, west through Tennessee and Kentucky, extending across the Midwest, and clear into Colorado, the Dakotas and even the Pacific Northwest. Many states have huntable populations of these magnificent waterfowl. In South Dakota, a special spring season is now held from March through April in order to thin flocks causing irreparable damage to croplands. Teams of five hunters are assigned to specific "depredation areas" on private property where resident honkers gorge on sprouting corn and soybeans. The project was devised by the USFWS and administered by SoDak Game & Fish. Each team has a 50-bird bag limit and the meat is donated to local food pantries, though there is no information yet on the success of the hunt. Found pretty much all over the country, big resident and ever-less-migratory geese are regularly increasing in population, and are creating economic problems, eating farmers' crops, defecating to the point of polluting waterways, causing social issues (plane crashes) and making public parks undesirable. Translation to hunters: The opportunities to kill lots of big geese grow practically every year. The early resident Canada goose season is now conducted from as early as late August throughout the month of September and spring seasons, like the one in South Dakota, have been tabled in a few states. Designed by waterfowl biologists to use regulated shooting as a means to control the rising numbers of these birds, this special Canada goose season has provided some of the best waterfowl hunting in the country. Look for lots of honkers, sure, but also look for small pockets. There are enormous populations of resident Canada geese spread across the country, it's true, but how many do you really need to have a great shoot? A half-dozen? As they expand into places where they previously seldom have been seen in the southeast, upper south, and southwest, you can find phenomenal hunting without having to locate a corn field with hundreds of honkers. One cow pasture with a dozen grass-eating birds hanging in it every day can provide a memorable mild-weather hunt. With more liberal estimates topping 5 million birds, bag limits climb every year. More than 39 states now offer early-season hunting for resident Canadas with more signing on each year. Call your state department for information on regional populations and early seasons for these birds. Early seasons provide a golden opportunity for taking novice hunters on a first honker hunt or veterans on maybe a last one. Lots of birds, warm weather, minimal effort and short trips to hunting spots are all factors that provide an easy, convenient, and accessible hunt for everyone. Don't skip your dove shoot, but once the young hunters have been hooked on hot-weather wingshooting for doves, the thrill of seeing monster geese cruising in low with their wings outstretched is one they will never forget. It may seem odd to use a guide close to your home, but local experts can put you on the morning hunt of a lifetime for as little as the price of a dozen high-end decoys. A guide will have places to hunt, know where the geese are, owns the gear necessary to bring them into shooting range, and their reasonable fees may surprise you since the logistics of hunting close to home cuts their costs as well. Generally, if there are huntable early-season Canada geese in your neighborhood, community, county, or state, there will be professional guides to help you get to them. Ask to speak with people who have hunted with them before, and make sure you are getting a committed pro, not a weekend warrior. Gather a group of fellow 'fowlers who will cooperate to find huntable property, scout for goose flights, and consolidate their hunting gear. Most serious hunters already have the right guns and ammo, boats and field blinds, as well as decoys and retrievers. Pooling your financial resources to buy any other needed gear or even signing a small lease can make your peer group a formidable goose hunting force&apos;¦as well as just more fun. The more Canada goose hunters the better, because plenty of shotgunners on the water and in the field will keep the resident honkers on the move and searching for a natural-looking flock of birds (decoys) to join for feeding and resting. Weekends can be a time when your activities are less disruptive to farmers and landowners as well. Your neighbors might give you odd looks, but practice setting up decoys and field blinds in your yard in order to develop an efficient method of organizing a hunt. Things look different in the pre-dawn darkness and spacial awareness and depth perception definitely take a bad turn. Put your canine through a routine fetching up big Canada geese in water and on land. Use a Dokken DeadFowl Trainer Canada goose for getting your dog accustomed to picking up these heavy birds. Practice coordinating goose calling with flagging. Ask your game department for information on resident Canada goose depredation problem areas in the region. Though game department personnel may not be authorized to give the names and phone numbers of property owners with overpopulation problems, they can probably help you locate farmers in need of hunter help to trim down grain-hungry geese. Watch for special-hunt areas. Game departments commonly offer special Canada goose hunting opportunities in places with specific honker problems. Too many geese too close to an airport, for example, can result in a short-term hunt for a few select waterfowlers usually chosen in a low-profile drawing to avoid unnecessary attention. Talk to wildlife enforcement officials, get the inside line, practice low-key scouting and you can have some intense shooting. Show respect and competence and with some luck you can become a go-to guy for problem geese with wildlife officials. Hunt resident Canada honkers to illustrate and validate sport hunting as a viable game-management tool. 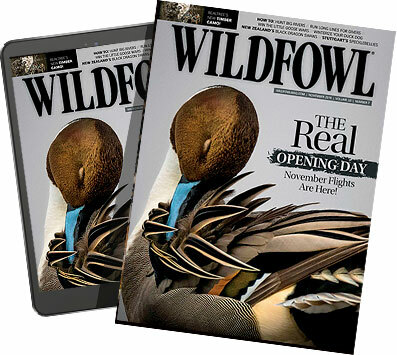 Show the general public that shotguns can be sensibly used to control and maintain waterfowl populations as a valuable part of an on-going game-management policy. It goes without saying that being aware of your image and acting respectful to landowners and recreationalists is critical. Finding places to hunt can be as easy as running an inexpensive advertisement in a local newspaper or regional hunting magazine or posting a notice on the Internet. Put up a poster in a rural grocery store at a feed and seed company office, or in a small town quick-stop, appealing to farmers who have issues with geese feasting on their fields. Though this method may seem like a long shot, I saw such an ad in a grocery store within a two-hour drive of Washington D.C. Many farmers are glad to see hunters ready to impact, or at least harass, the thousands of honkers that plague them. Don't give up later in the season. Many birds that seem like they never leave the golf course or the green open spaces of parks will as the weather turns cold. Sure, they seem unkillable in the early special seasons — and they may be — but as the temperature falls, availability of both open water and food changes everything. A local field you can access may suddenly be filled with flocks of mature, gullible Canada geese that have never been shot at because they've been feeding at the local golf course for 10 months.